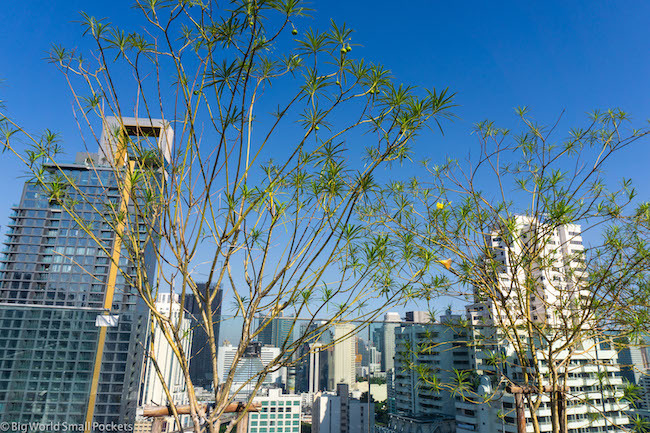 Choosing accommodation in Bangkok can be a bewildering experience – trust me I know! 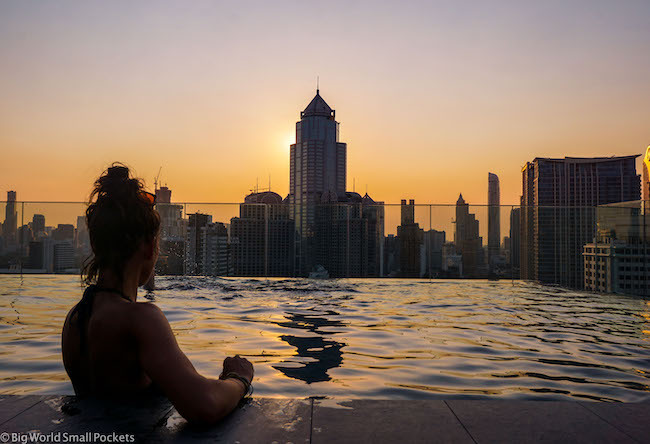 With no discernible centre, more different parts than you can imagine and a vast array of accommodation options, finding the best place to stay in Bangkok can be a tough mission indeed. And this is especially true if it’s your first time visiting the city! However, having spent a week exploring the length and breadth of Bangkok, staying in multiple different hotels, in multiple different areas, I’m delighted to stay I’ve finally found the best place to stay in Bangkok. With an ideal location, awesome facilities and a nice price tag to match, this place is perfect for budget travellers, business travellers, travelling families and friends alike. So where is this amazing place? My stay at the Ibis Styles Bangkok Sukhumvit 4 was kindly sponsored, but, as always, all views are my own. First of all, the best place to stay in Bangkok is definitely the area of Sukhumvit in my opinion. Extremely well-connected by the city’s excellent, cheap and easy-to-use public transport system, Sukhumvit has a good range of easily accessible stations spread across a number of different lines, which makes it simple to get around and straightforward to move to other parts of Bangkok aswell. A new and wealthy suburb, Sukhumvit also provides plenty of entertainment like malls, restaurants, bars, cafes, supermarkets and massages. 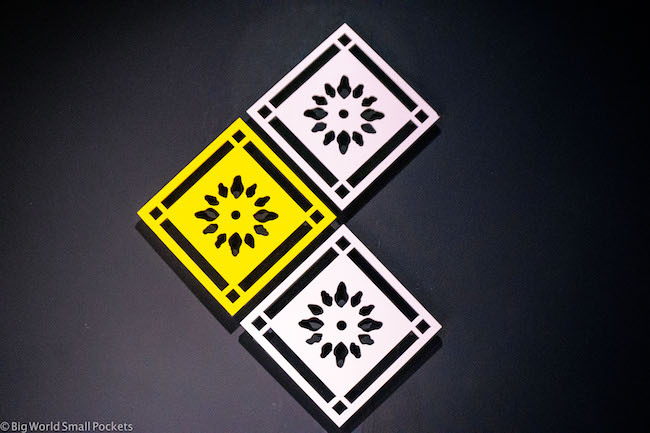 Honestly, these things aren’t usually high on my travel list (except the massages and cafes!) but when I went to stay in other areas of Bangkok, particularly the Old Town, and discovered how dead the streets are there after dark, and how limited the food options are if you don’t want to eat from street vendors every night, give me Sukhumvit every time! This is also true because, arriving in Bangkok after several months in Africa, I was a delight to find some western comforts and to be able to stock up on some much-needed supplies, which the excellent Terminal 21 Mall and many international supermarkets allowed me to do. Because it is also very busy on the street at night in Sukhumvit, it’s definitely true that I felt extremely safe walking around here by myself as a solo female at night and that’s worth a huge amount in any large global city. #1 Lonely Planet Guidebook – The Bangkok Lonely Planet is excellent and very helpful for any trip to this city with lots of top tips and recommended things to do. #2 Walking Shoes – There’s likely to be a lot of walking in Bangkok especially as the traffic here can be bad! As such, I advise packing a pair of good runners, like these New Balance trainers, which are perfect for city strolling. #3 European & British Power Adapters – Bangkok has a mixed range of power outlets, but generally opts for a combination of the European and British ones, so make sure you come prepared with a Skross world adapter. #4 Camera and Lens – I love my Sony A6000 mirrorless, which was ideal for capturing this crazy capital. #5 Travel Scarf – A great multi-purpose packing item, a travel scarf can be used to both safely store valuables and cover your shoulders while you explore Bangkok’s temples. But where in Sukhumvit did I stay? Well the answer is the wonderful Ibis Styles, located in Sukhumvit 4, which I’m calling the best place to stay in Bangkok! 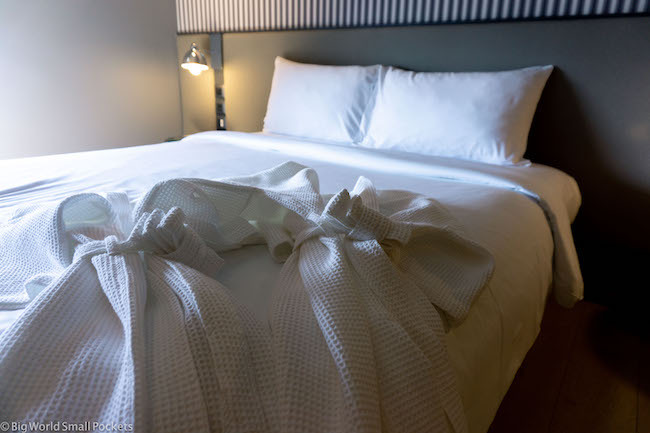 Located just minutes from Nana Station on the BTS Skytrain, don’t worry if you can’t manage the walk though because this hotel provides a complimentary shuttle – just one of the many ways they have thought of everything! Other features include a gym facility, a rooftop garden, free yoga classes on a Saturday, a Buy 1 Get 1 Free Happy Hour and a great buffet breakfast. Friendly staff are on hand to help you 24 hours a day and the bright, clean and slick décor of the hotel, with its Thai-inspired elements, lends a young, contemporary, vibrancy to the whole place – perfectly reflecting the characteristics of fast-paced and fast-developing Bangkok. 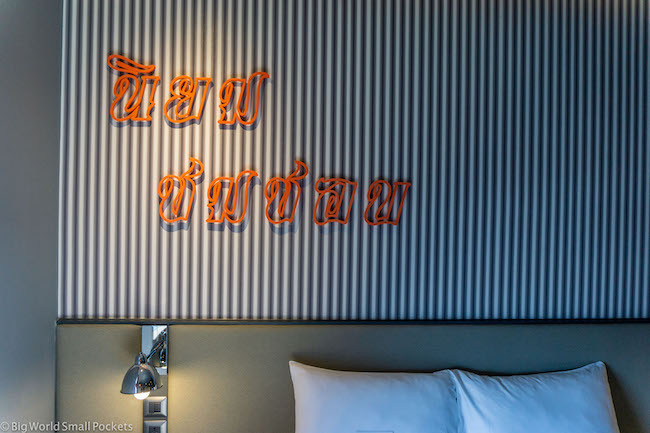 Having not travelled to Thailand before, I was not really sure what to expect from my Bangkok accommodation, but I’m delighted to say that in the case of the Ibis Styles Sukhumvit 4 at least, it surpassed all expectations and was immacutely clean, orderly, quiet and modern. Best of all however, was the amazing rooftop area of the Ibis Styles Sukhumvit 4, which literally took my breath away! 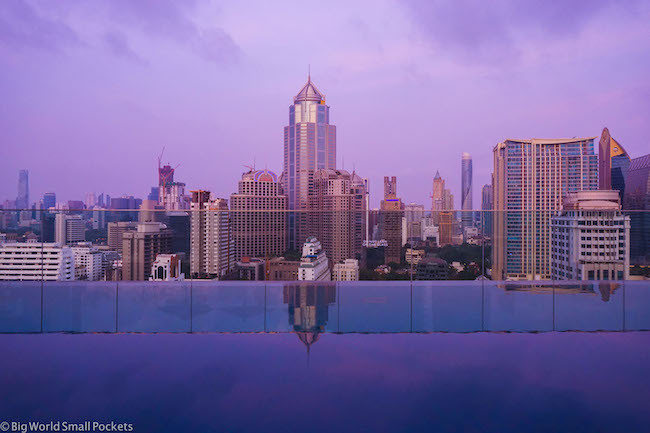 An infinity pool with incredible views of the city skyline spreading before you, there is no doubt that this feature firmly marks this hotel as the best place to stay in Bangkok in my mind. Grabbing a sunset swim up here, after a heavy day of humid sightseeing, is exactly the sort of tonic needed when travelling in this city, especially when you can enjoy it with one of the speciality cocktails from their rooftop vodka bar. I wouldn’t dream of travelling anywhere in South East Asia without coverage and always recommend travel insurance from World Nomads, which I’ve used during my time in Thailand and beyond. I love the easy online claims process offered by this company, as well as their great customer support and the fact that you can buy or extend your travel insurance even if you’re abroad already. But how, I hear you ask, do you get 5* level views and facilities like a rooftop pool and bar with the great value the Ibis Styles offers? Well the answer is in the clever design of this hotel. Essentially 2 hotels in one – the Novotel and Ibis Styles share the same building. The latter is located on the lower floors with smaller bedrooms and the former is located higher up the hotel with bigger rooms – there’s 2 separate receptions and 2 different check-in areas, but everything else is shared. What this means is that, for a much better value, you are able to stay in the more modest Ibis Styles, yet enjoy the facilities of the plush Novotel – complete budget travel score! 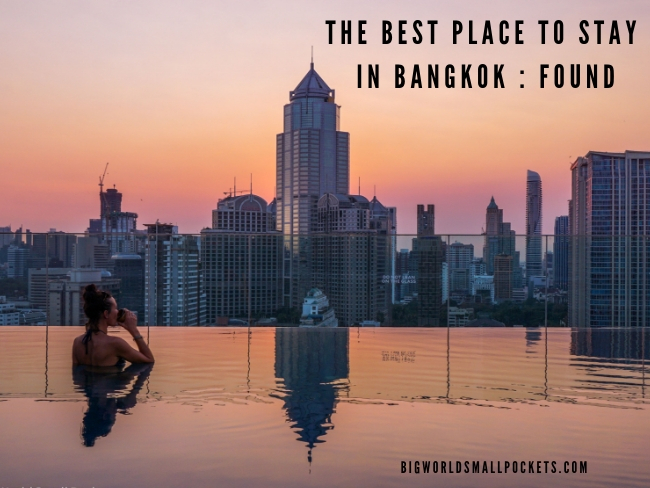 After all, who wants to spend a huge amount of time in their room when you have all the action of Bangkok, plus a rooftop pool to enjoy around you?! Just check out the great value offered by the Ibis Styles Sukhumvit 4 for yourself HERE! But please, don’t think that my comments above in any way suggest that the Ibis Styles Sukhumvit 4 rooms are “sub-par”. They are most certainly not, otherwise there is no way I’d be recommending this as the best place to stay in Bangkok. Instead they are excellent, with free unlimited wifi, in-room smart TVs, in-room controlled aircon and quality bedding guaranteed to give you a good night’s sleep. Even after I recovered from the jetlag here I slept like a log! 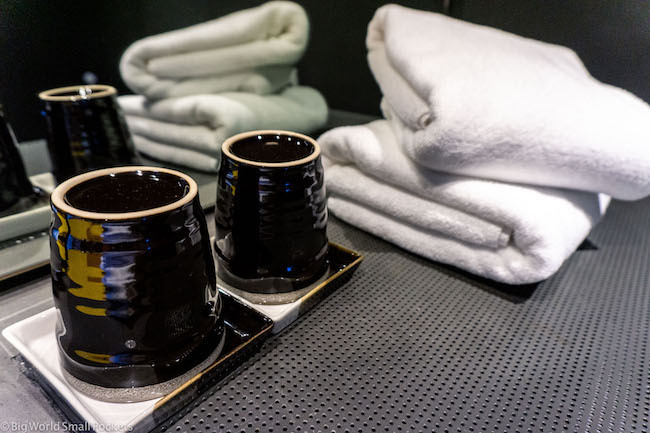 The rooms are also incredibly quiet, have tea and coffee making facilities, a range of bathroom products and free robes, as well as an in-room security box, working desk and multiple power outlets. 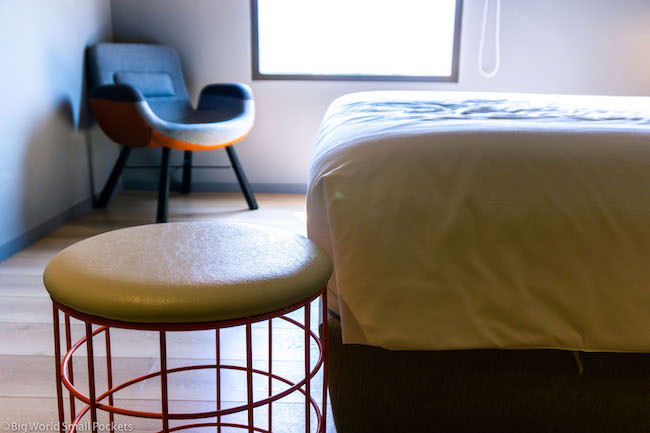 I loved the funky modern décor of the room, the local inspiration it drew from and cleanliness and functionality of it – exactly what you need from a city hotel. So there you have it, my worthy winner of the best place to stay in Bangkok award! If not, learn more about the Ibis Styles Bangkok Sukhumvit 4 here!